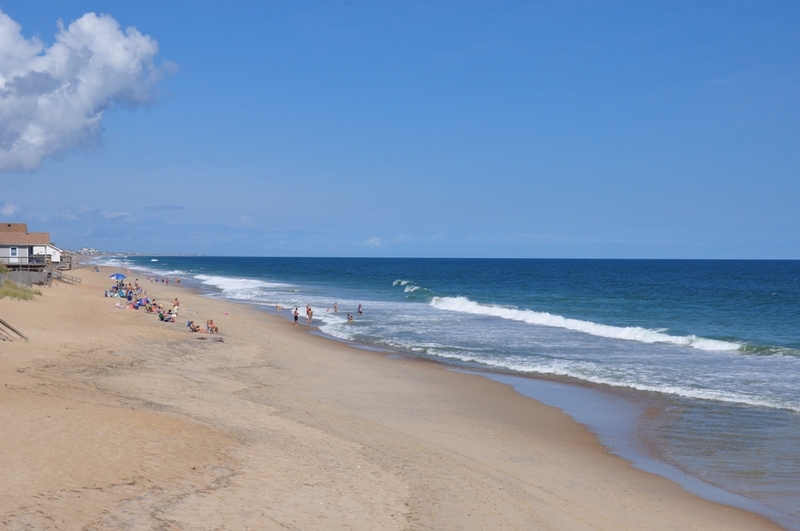 As one of the more established villages on North Carolina’s Outer Banks, Kitty Hawk is a wonderful oceanfront community to live, work, visit and enjoy during any time of year. Perhaps most widely known for its rich aviation history and the site of the first controlled airplane flight, Kitty Hawk is now celebrated by locals for its amazing coastal beauty and dense 461-acre marine forest reserve. Hiking, fishing, bird watching, horseback riding, and of course taking in the miles of beachfront land are just a few of the outdoor activities – there’s much, much more to discover about this historic and unique Outer Banks North Carolina town. In fact, Golf enthusiasts love living in or visiting Kitty Hawk, NC because of the immaculate Sea Scape Golf Links course and nearby Duck Woods Country Club, which is currently an exclusive member’s only club. Despite its unbeatable location just off the Atlantic Ocean, development here—residential or commercial—is strictly monitored, as both local Kitty Hawk residents and frequent guests of the area value its environmental appeal and absolutely stunning natural surroundings. Kitty Hawk real estate consists of a fairly low concentration of single-family housing communities, while rentals and affordable condominiums are also scattered throughout the area, much like other nearby Outer Banks settlements communities. There’s also a beachfront community in Kitty Hawk that houses quaint residential cottages that make for a perfect getaway spot for those planning a relaxing, stress-free North Carolina lifestyle. If you’re interested in Kitty Hawk real estate for sale or the perfect vacation property, contact Matt Myatt at (252) 207-6588.